The game doesn’t have a rose-tinted view of the cowboy lifestyle however. The law men that force Marston into hunting down his criminal former-comrades are certainly antagonising towards him but it becomes increasingly hard to sympathise with our supposed hero as he rails against them. The agents’ method of keeping Marston in check – keeping his family away from him – are hardly admirable but on the other hand we see more and more of his former gang’s atrocities and crimes first hand, yet John somehow remains reluctant to bring them to justice. Mostly he wants to be left alone but he has no answer to the charge that there must be consequences for his previous crimes. He still seeks to avoid moral judgements throughout. Nowhere is this more apparent than when in Mexico. John has obvious distaste for the behaviour of the ruling General – the treatment of women or burning of villages for example. As a player though you are forced by the designers into performing missions for both the rebels and the General. 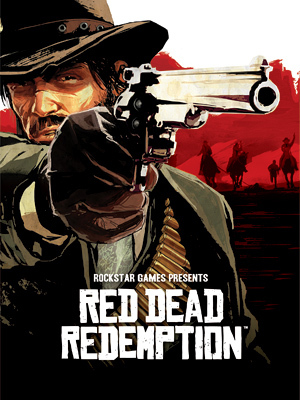 To justify it from a plot perspective, Marston ends up portraying himself as almost amoral – willing to do anything for anyone if it furthers his aims. The lack of choice between the two sides also makes the limited honour system of the game seem more irrelevant. Barring some small cosmetic changes and the odd friendly nun, the changes to your experience are very small whether you’re considered honourable or not – but on top of that, there’s only the randomised game events and a handful of side quests that actually have any effect on your honour ‘rating’. Most importantly, after Mexico I really felt like I had no control over Marston’s moral decisions. This is fair enough in most games, particularly when you want a strongly defined character. But the morality meter gives an illusion of choice that is a little galling. In Blackwater the lawmen argue that the order they bring might be imperfect but it is better than the rule of the gun. Even playing as a virtually superhuman gunslinger, at this point the player’s probably seen enough to agree that the arrival of modernity can’t come soon enough. Blackwater itself is the local epicentre of that coming change, dust roads suddenly giving way to brick buildings and asphalt roads as you enter the town. It’s in this town, for example, that Red Dead makes a direct link between the old 19th century outlaws and what would become their glamorous criminal successors: bank robbers. There are more than a few hints signposting the coming of the Prohibition movement as well. Blackwater represents the future as the residents of New Austin hope and fear for, presented through our current perception of the history of that time. There is a problem with this mission though, which occurs once the car starts moving again – it becomes too difficult. Through out the game the number of missions I’d failed was very small and I’d taken 2 or 3 tries to complete the most difficult. For this section I ended up repeating the same part 7 or 8 times and it undermined the message behind this particular section. It is a fairly entrenched and traditional viewpoint that says games must become more challenging as the player progresses – but at times no one seems to consider the possibility of letting the player experience moments where they are completely mismatched and over-powered compared to their enemy. In moderation this can be done to show how far they and their character have progressed in terms of skill – whether those are actual skills or statistical skills from character levelling up. One of the biggest gripes players had about Elder Scrolls IV: Oblivion, is that the enemies always levelled up with the player character so that, despite all the spending on stats, you never felt powerful. Going from Level 1 to Level 6, you’d find the same world and locations were now populated exclusively with Level 6 goblins while Level 1′s had become mysteriously extinct. The designers at Bethesda went, to an absurd degree, towards the extreme of turning the difficulty curve into a flat line. An entirely different game that touches on this point from another angle is Gears of War 2. Right before the end you get to ride and control a giant Brumak. After grinding through waves of Locust, enemies that pretty much define the term ‘bullet-sponge‘, turning the tables on them with their own weapon and destroying them at will is purely intended to be fun and, at least for a short while, challenge is forgotten about. 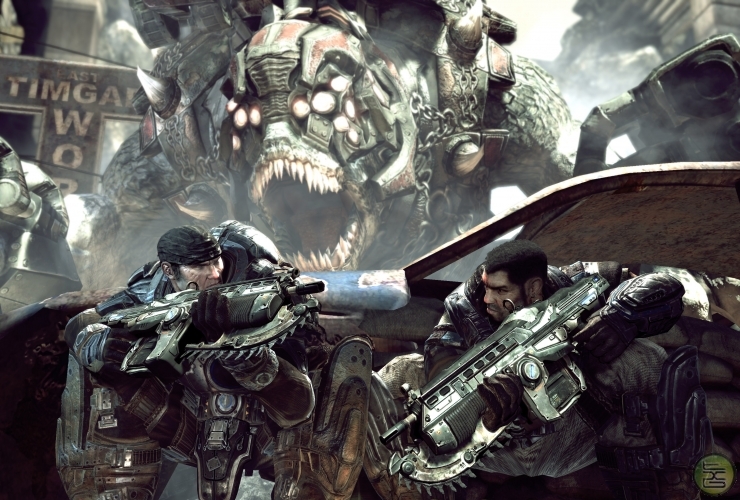 In Gears 2, riding the enemy Brumak is meant as a reward for the player. Moving back to Red Dead, the purpose of making the armoured car section easy would not be as a reward but to bring home how effortless and horrifying the business of killing had become. The agent driving the car expresses a rather vicious satisfaction throughout as he states, “We should have done this a long time ago”. Bearing in mind that pretty much all the people you’re killing are also Native Americans that are often referred to as “vermin”, it could be taken as the agent endorsing genocide, especially considering some of the attitudes expressed throughout with the Natives (whether outlaw or not) thought of as inherently savage and annoying obstacles to progress. This is all undermined by the needless restarts, difficulty and repetition. There is though, one small argument for making this part suddenly more difficult. The car starts moving off the road and traversing over rough hills, with the agent saying it’s becoming hard to drive. Here, away from the tendrils of civilisation, the horse may still be king and the automobile may be out of its depth. It’s still hard to argue with a machine gun though, so the designers decided to equip the outlaws with remarkably accurate throwing arms and dynamite. One enemy in particular must be killed almost as soon as he pops up, or else his thrown explosive will always result in a game over. It’s player punishment that dates back to a 1990′s school of game design and is entirely out of place for both the game and, in this case, its message.